The continuing widespread rise in the use of plastic packaging in the food sector is due to numerous tasty developments which increase the appetite not just at WOLF PLASTICS. Growing all the time, both in terms of sales figures and enquiries. 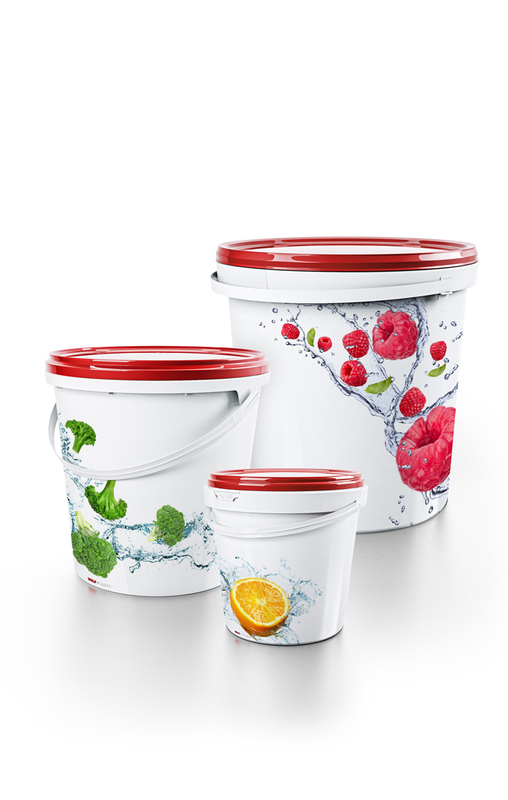 New product types, attractive in-mould labelling (IML) and benefits in logistics ensure that plastic packaging in the food sector is becoming increasingly popular. This applies not only to dairy products but also to meat, honey, jam, mustard, ketchup, mayonnaise, large packs of biscuits and other sweets. These are the products represented in the WOLF PLASTICS portfolio. The company saw the opportunities in the food sector at an early stage and addressed the specific requirements of the producers. Now that this trend is increasingly becoming standard within the industry, the company benefits from the forward-thinking infrastructure it has established and its head start in terms of know-how. Meat products, honey, jam, ketchup, mayonnaise and large packs of biscuits and other sweets – WOLF PLASTICS saw the opportunities in the food sector early on and addressed the specific requirements of the producers. The three independent production facilities in Austria, Romania and Hungary are, of course, essential here. Inside the production buildings in Fertőszentmiklós, near Sopron, you can see how smoothly and to what high hygiene standards the new products in the food sector are created. WOLF PLASTICS has expanded its range of machinery here, added a new air conditioning system and, when the workers appear in the separate sterile area in their compulsory protective clothing, it becomes clear that production takes place in accordance with the stringent food contact criteria. And so belts can be loosened even further soon to accommodate the growth, WOLF PLASTICS has an eye on the potential of the future market. WOLF PLASTICS established in 1973 in Kammern, in Styria, Austria is a family enterprise with three independent production units in Austria, Hungary, and Romania belonging to no international group. The decentralized company with a small headqaerters in Austria is already the market leader in plastic packaging throughout South-Eastern Europe.